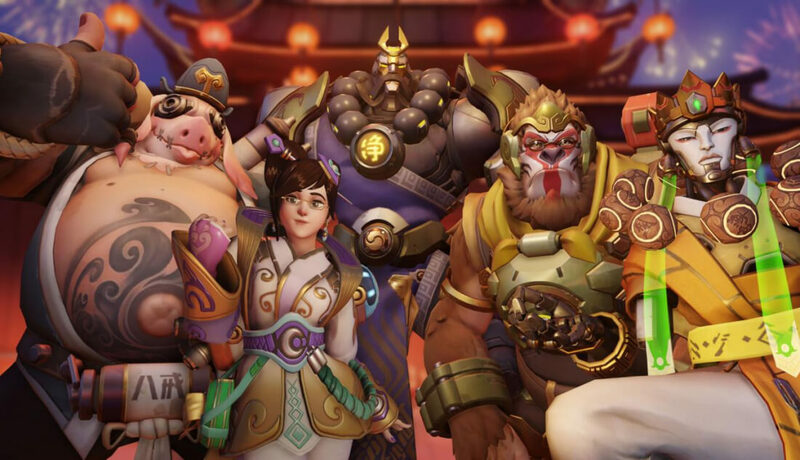 Overwatch's Year of the Dog Lunar New Year seasonal event is on the way and it's bringing a host of new skins, a new map and the return of Capture the Flag. In the latest Overwatch Developer Update, game director Jeff Kaplan offered details regarding these new content additions. Kaplan says the new map will be set in Thailand with one side featuring an ancient temple and the other containing a more modern, "bright and beautiful" aesthetic. Speaking of Capture the Flag, the game mode is receiving a few small tweaks. To start with, rounds will no longer end in a draw, no matter the circumstances. Instead, Kaplan says sudden death will kick in, causing both teams' flags to be pushed towards the center of the map, drastically reducing the distance a given player will need to travel to make a capture. Additionally, certain mobility or invulnerability-granting abilities will cause a player to drop the flag - the example Kaplan offered was Winston's leap ability, though it's likely abilities like Genji's dash and Reaper's Wraith Form will have the same effect. Game modes and map additions aside, players can also look forward to six new legendary skins. The Year of the Dog update will be arriving across all platforms on February 8.